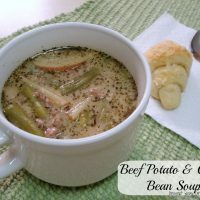 Beef Potato & Green Bean Soup - Dessert Now, Dinner Later! 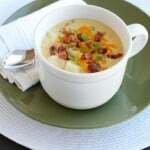 So it’s still really cold outside & all I have been wanting is soup like crazy; obviously, since most of what I have blogged this month has been soups. This is a new recipe I came up with on a whim, but my husband deemed it blog-worthy, so I snapped a picture & am sharing the recipe with you. 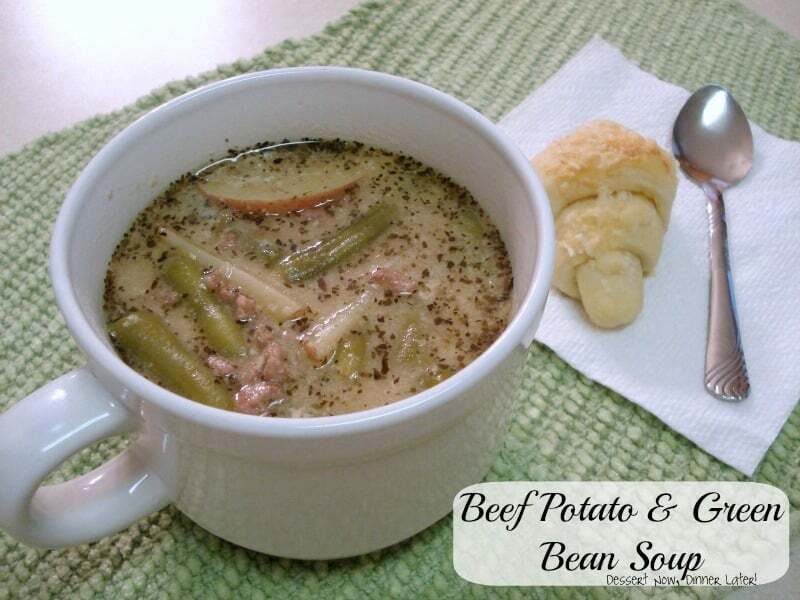 It has lots of flavor & wonderful chunks of potatoes, green beans & ground beef. Very warming & wonderful for these cold winter months! 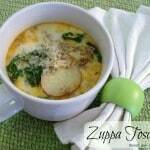 Combine milk, broth, onion soup mix, garlic powder, basil & cornstarch in a 4-6QT slow cooker. Whisk until cornstarch dissolves. 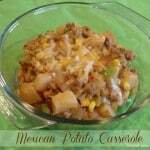 Add sliced potatoes & cooked ground beef. Stir. Cook on low for 5-6 hours or until potatoes are done. Heat up the whole can of green beans, liquid & all, in a small saucepan on the stove until boiling. Drain beans & add to the soup. Stir & serve. *To cook on stove top: Cook & season beef; drain fat. 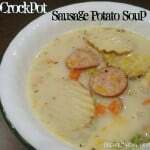 Combine liquids & seasonings in a large pot. Add potatoes & cooked beef. Simmer, stirring occasionally, for 15 minutes or until potatoes are tender. Drain & add green beans until heated through. 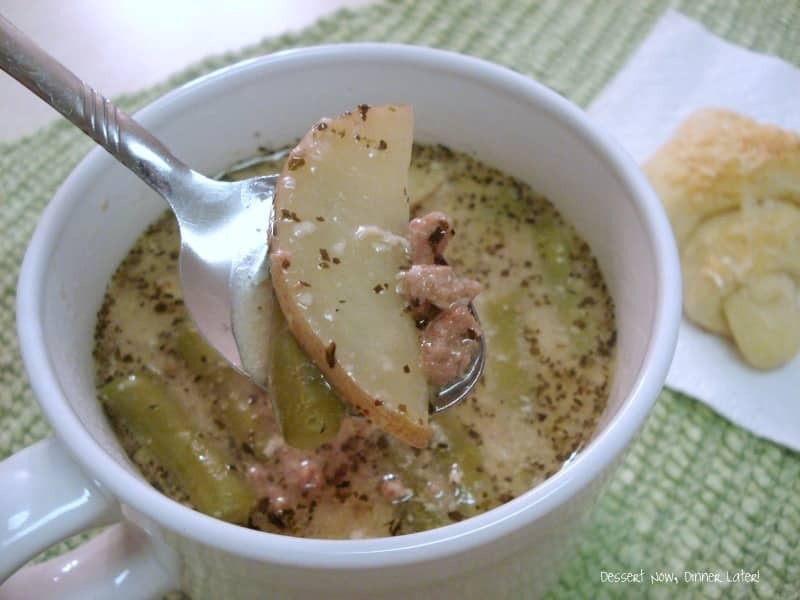 I love green beans, so I love this dish. But I especially want to compliment you on that lovely presentation! It’s beautiful.